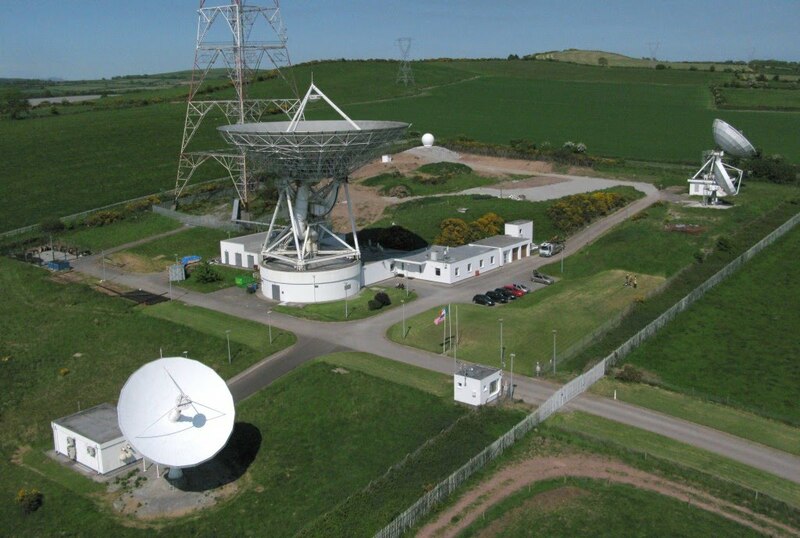 Tucked away in a valley outside Midleton (East Cork, Ireland) is Europe’s westernmost Earthstation and teleport. It was built in 1984 as part of the Eutelsat network by the Irish national telecommunications company, Irish Telecom (now Eircom) to facilitate transatlantic telephony. It was built alongside another teleport at Rambouillet, near Paris in France. At that time, the site consisted of a 32m C band antenna, a 13.1m KU band antenna and an 11m C band antenna. There was also a 120m Microwave transmitter tower. These have since been joined by a 9.1m KA band antenna. By 1997 transatlantic fibre-optic cables replaced the satellite based communication systems and the system was shut down. The site was maintained by Eircom and was used as a local depot until January 2010 when it was reopened as a teleport by National Space Centre Ltd. Founded by Rory Fitzpatrick and supported by Enterprise Ireland, NSC took over the lease and started work on getting the antennae operational. The 9.1m KA band antennae, is one of 10 teleports (including 2 backups) around Europe providing internet gateway services. The dish is communicating with the Eutelsat KA-SAT. The 6 ton KA-SAT was launched in December 2010 atop a Proton rocket from Baikonur Cosmodrome in Kasakhstan. It uses 4 antennae to provide 82 KA-band spotbeams providing coverage of Europe and parts of North Africa. With a throughput of 90 Gbps, it can provide up to 50Mbps downstream and 10 MBps upstream. While the satellite is in Geostationary orbit and should be at a fixed point above the Earth’s surface the antennae at Elfordstown is continuously making imperceptible adjustments to maintain its signal strength. Due to the geographic location of the Elfordstown site, it services Eastern Europe (e.g. Poland, Latvia, Lithuania and Egypt). Its servers connect to the Irish internet fibre backbone and from there to Gdansk (for example) the data is transmitted and received via satellite, all within 600ms. The network is managed and maintained by Eutelsat subsidiary Skylogic, based in Turin, Italy. The service went live across Europe on 31st May 2011. In April 2012 the 3.7m exactEarth antennae was commissioned and it sits under a radome at the rear of the site. This is a tracking antenna capable of moving at 15 degrees per second as it tracks one of exactEarth’s constellation of 5 microsatellites up to 6 times each day. The exactEarth microsatellites can range from 10kg to 100kg (much lighter than traditional satellites) and the orbit is a polar orbit meaning they can observe the entire surface of the Earth in 12 hours, passing over each pole every 100 minutes. The first ground tracking station at Svalbard,Norway is now joined by a network of stations, including Elfordstown which transmit the data to the Toronto, Ontario data centre. In 2011, a competition to name the dish by Irish schoolchildren resulted in the name CORY or “Computer Operated Radio Yoke”. The competition was won by Rebecca Cantwell of Regina Mundi College, Cork. As part of an agreement with the Moscow Institute of Physics and Technology (Fiztech), signed in November 2011, plans are to use the 32m antenna as a radar tracker of space debris. Collaboration between University College Cork (UCC), Cork Institute of Technology (CIT), NSC and Fiztech will lead to exchanges of data and students between the academic institutions as well as satellite teleconferencing. A formal agreement with Roscosmos, the Russian Federal Space Agency was signed in 2012 to provide a framework for this project and others in the areas of communications, navigation and exploration. Since 2010 the NSC has hosted NASA Astronaut Greg Johnson (STS-123 and STS-134) and Russian Cosmonaut Candidate Sergei Zhukov. As well as the work listed above, NSC partners in EU Framework Programmes for Research and Technological Development, it partners in ESA funded projects and it sponsors satellite business competitions. NSC has sponsored the Irish regional prize and co-ordinated the regional competition since 2012 and in 2013 Irish company CarSafari represented Ireland at the finals in Munich. Vicinity Systems won the Irish prize at the 2012 competition. Anistiamo is an ESA/ESRIN funded project based on satellite maritime surveillance of the Arctic and North Atlantic Oceans. NSC collaborates with Finnish and Norwegian partners. ESA’s Integrated Applications Programme (IAP) funds this project to develop the next generation Recognised Maritime Picture (RMP) for the Irish Naval Service using AIS data. This is a feasibility project investigating the provision of specialised meteorological services using space based assets. This is an EU FP7 (Framework Programme 7) project investigating workflow and technology for tracking vessels at sea as part of European external border surveillance programme. After the success of the C-SIGMA meeting the ambitions of NSC know no bounds. It had applied to host the International Astronautical Federation’s Congress in 2017 but Adelaide, Australia ultimately won the vote held at the 2014 IAC last year. 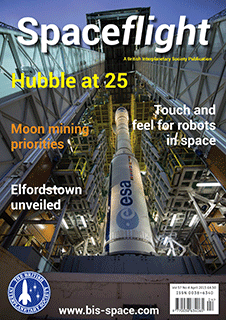 NSC will no doubt hit the headlines again soon as it advocates for space activities in Ireland. Yoke: Irish slang for “thing”.